Modern Portfolio Management provides investment and finance education and advice. 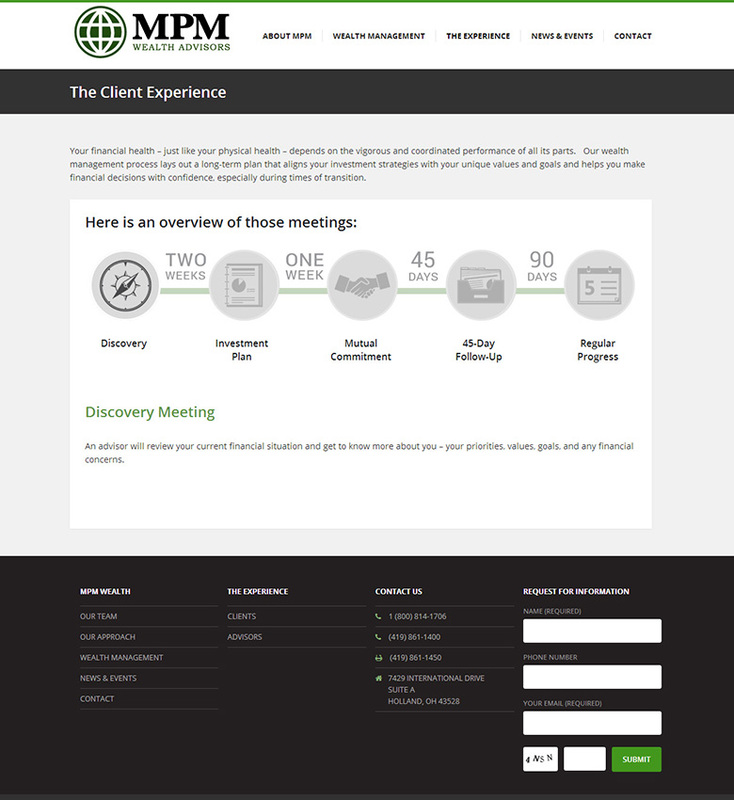 They also work with other advisors to help them manage their clients and back office. 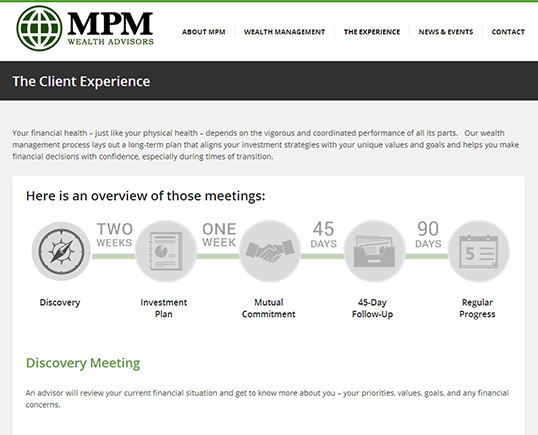 MPM needed to market both services and decided to proceed with two websites – each targeting a different market. We developed the sites on the WordPress platform and setup custom code that navigates first time users to the appropriate site (depending on the services they require).